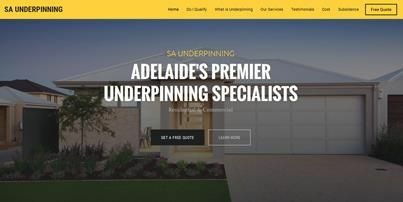 Here at SA Underpinning, we choose the original system of underpinning where excavation of holes takes place around 1.2 metres below the existing footing. We then pour concrete to create a base and use heavy duty jacks, resting on the concrete, to lift the foundation. Depending on how far the structure has sagged, in most cases it is possible to completely close cracks that are 10-20mm wide.